If you’ve already been to Bavaria in summer and autumn and are looking for a holiday experience that’s a little more off the beaten track, you might want to think about going in spring. While the weather can be unreliable – in bad years, Munich can stay wintry and wet well into April – there are several events that make a visit to southern Germany a really great way to take your Bavarian holidaying up a gear. Like Pancake Day, the origins of Fasching are in the religious laws about what could be eaten during periods of fasting such as Lent in the lead-up to Easter. it was all about having one last good feed and a bit of a party before renouncing meat, cream, wine, and many other things for the six weeks until Easter. Munich, on the other hand, has always had a pretty liberal attitude towards lots of things, especially beer: “It’s not really booze, is it…?” So in the Bavarian capital, Lent is also traditionally the time of the Strong Beer Festival, a three-week long indulgence in high-proof brews with sonorous monikers such as Salvator and Triumphator. Apparently, church law never considered beer to be something from which people should abstain during Lent! If you head to Munich to give these tasty brews a try, just go to any of the beer halls (Hofbräuhaus, Löwenbräukeller, etc.) 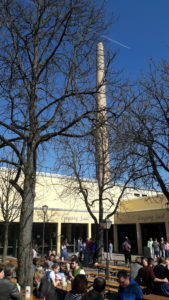 or, if you really want the Full Monty, to the legendary Paulaner am Nockherberg. 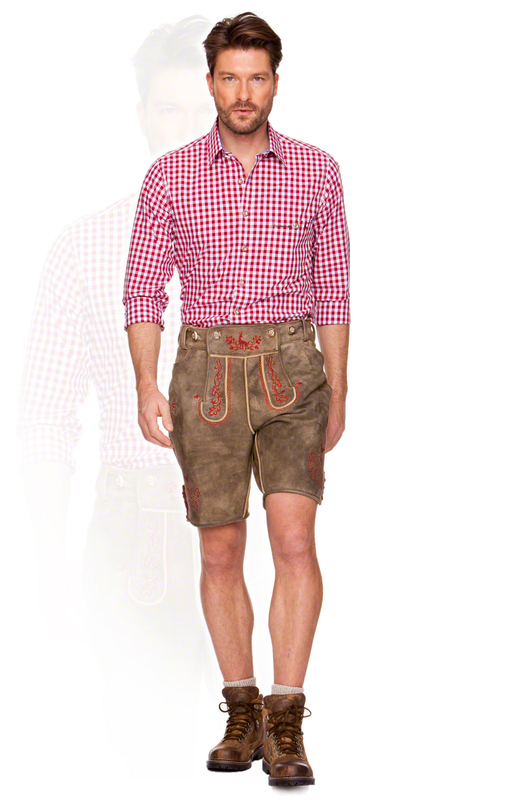 Outfits should be traditional Bavarian and more on the formal side if you want to look local: leave the checked shirt and t-shirts for the Oktoberfest and opt for classy colours; fabric wise, you need to go more formal, too, so avoid linen or thin cotton: a thick-weave white, collared shirt is perfect for the lads. 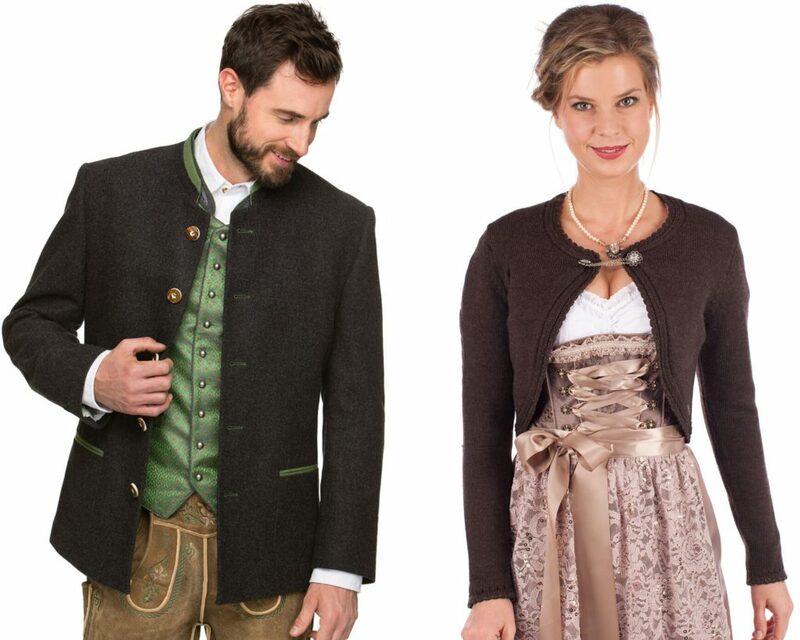 For ladies, the dirndl skirt should be long and anything with metallic or dark shades works nicely. Missing the Oktoberfest already/still/always? Aren’t we all?! Especially Munich, which is why the city puts on the Frühlingsfest – literally “spring festival”, a big funfair on the Theresienwiese half-way in between Oktoberfests. 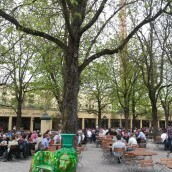 There’s also a spring fair at Mariahilfsplatz called the “Auer Dult“. It’s good something of a mini-Wiesn, with fairground rides and beer tents (somewhat smaller, though) . Well worth a visit if you need a quick fix of Bavarian beer, sausage, and bonhomie to make it through to September. And the dress code? For once: whatever you like!